Time to put all the techniques we covered this week into practice by writing out quotes. 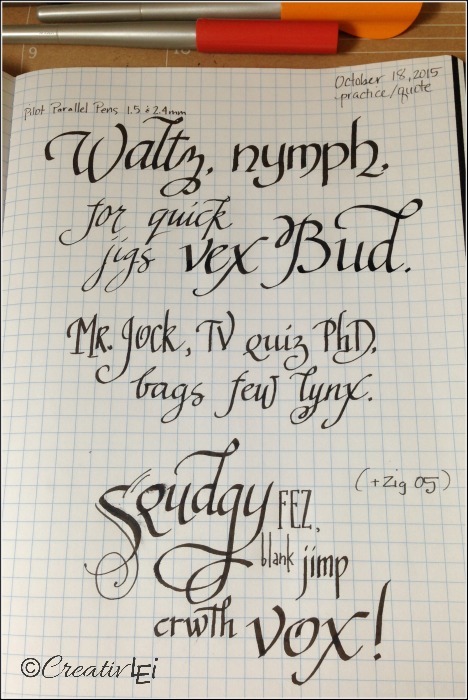 I love using pangrams, sentences that incorporate each letter of the alphabet. 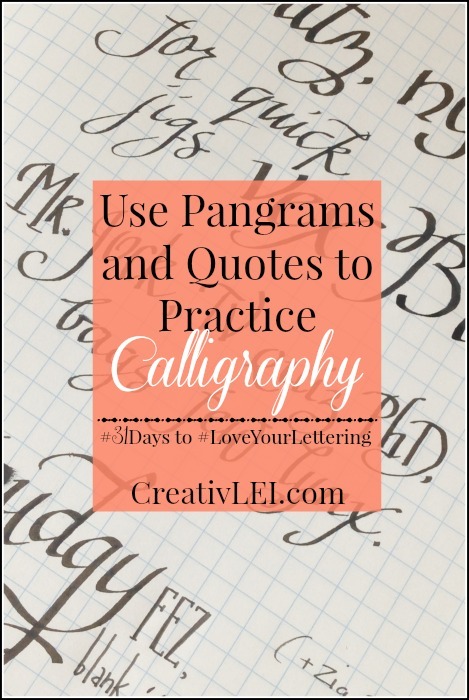 Feel free to practice using your calligraphy pens with pangrams, or letter a quote that incorporates lots of letters. Here’s my Pinterest board that I use to collect quotes. Follow Lisa Walters (CreativLEI)’s board Quips and Quotes on Pinterest.Don’t forget to try adding some flourishes. 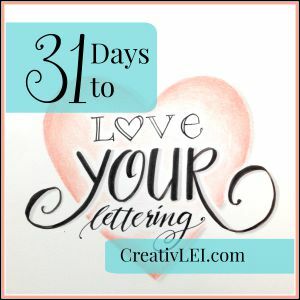 Are you ready to try brush lettering this week?